A man who did a lot of good for a lot of people. For now—por ahora—Venezuelans are waiting to see what happens next. 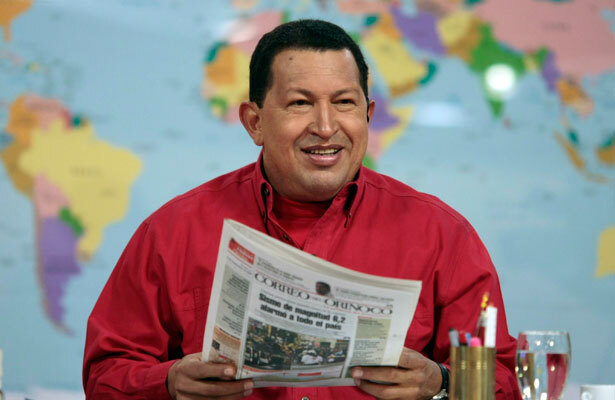 But now is the time for thinking about Hugo Chávez’s legacy. It’s a controversial one, because Chávez made mistakes and missteps along the way. But there’s no disputing the fact that the late Venezuelan leader did a lot to make life better for many, many Venezuelans. It’s rare, very rare, to find a leader of a developing country who cares passionately and deeply about the underprivileged, the poor, the downtrodden and the underserved, while simultaneously taking on the often selfish and self-interested elite, the wealthy and the privileged, who in turn make common cause with US and Western elites and the vaunted “private sector” abroad. And those Western elites find it easy to mobilize the institutions of the states in which they live, including military and intelligence agencies, to do their bidding. During the administration of George W. Bush, Chávez himself found out how it works, when Venezuelan reactionaries—with support in the United States—made a short-lived coup d’état against Chávez’s elected government. True, Chávez did not fundamentally transform Venezuela’s struggling economy, even with the oil resources he had at his disposal. And no wonder: Even among the relatively well-off members of OPEC, who are blessed with oil, it’s hard to find nations that have been able to break free of an economy based on extractive industry and agriculture. Leaving aside the kleptocracies of the Persian Gulf such as Saudi Arabia and Kuwait, who have vast amounts of oil and virtually no people, the landscape of OPEC is also marked with struggling states such as Nigeria. Perhaps the country that came closest to transforming itself into an emerging industrial nation was Saddam Hussein’s Iraq of the 1970s, and Iraq did it by fighting a desperate battle with the entire world oil industry, nationalizing its oil in 1972 and investing in education, infrastructure and industry. Iraq was eventually devastated by war, especially the 2003 calamity, and now Iran, which has the potential for takeoff, is crippled by almost two decades of increasingly harsh sanctions. That’s what Chávez was up against. He has made people who didn’t feel they were part of democracy before feel like they’re part of the system. That hasn’t happened in very many countries. If you look at the United States, poor people don’t feel like they’re very much a part of the system, and he did that. Mr. Chávez’s biggest achievement, one even his detractors will admit, was to end the social and political exclusion of a large number of Venezuela’s poor. He spent billions of dollars on his “missions”—well-publicized educational, health-and-welfare programs aimed at the millions who live in cement-block slums on the hillsides surrounding Caracas and other cities. That’s something that anyone would like as his or her epitaph. Also read Greg Grandin’s appraisal of the legacy Chávez leaves behind, and what his story tells the United States about itself.